Guerlain Météorites Perles du Paradis ($70) are – how shall I put this delicately? – giant balls of lightly colored pearls meant for highlighting the face. If you've been reading Messy Wands for some time, you'll know that pink is not my favorite color. Pink doesn't propel me into throes of I need them all like, say, dark blues sometimes do. 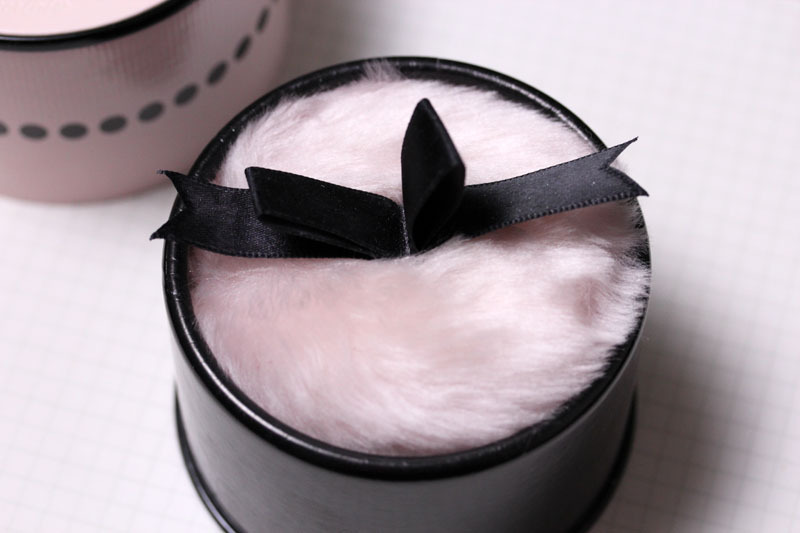 But apparently there is a dainty little girl that isn't all that dormant inside of me, because I was enamored by the cotton candy pink box (never mind that it's made of cardboard instead of a sturdier material) and positively squealed when I realized it included an actual fluffy puff instead of the regular sponge. Was it functional? Maybe. I didn't wait to find out before I bought it. Perles du Paradis contains silver, light pink, dark pink, and lilac pearls. While Guerlain's météorites products are meant for color correcting and highlighting, I believe this particular iteration serves another purpose. Because the pearls are so large (twice the size of regular météorites), it is simple for me to use a dense blush brush to pick up certain pigments (darker pink and lilac). The result is a light lilac pink on my cheeks. For highlighting, I use an extremely fluffy brush (like the Suqqu Powder brush) and gently sweep it around the box, careful to target the lighter shades, then apply it all over. Like all other météorites, Perles du Paradis casts a veil of glow over your face. It's a finishing powder that just makes you look better even though you can't pinpoint exactly why. Larie, my fellow bandit and shopping Jiminy Cricket, asked me if I thought it was too pink, but you can see from the shot above that it just adds radiance to the skin. I will be the first to admit I didn't need this. After all, I already have Teint Beige, Perles de Nuit, and Perles d'Azur, and while the imparted effect is different, it's not so different to the naked eye that would justify the purchase. But there's just something about these boxes of pearls that's hard to resist, especially when it comes with a giant puff. I mean, there's no harm in collecting pretty things... right? P.S. Shout out to my lovely friend Angela who made me this amazing slouchy mustard beanie to keep my ears warm! I look at her handiwork and wonder why I even bother with store bought knits. I should just pay her to make them for me. Eep. I have been going back and forth about this purchase since it came out and I don't know if I can justify it (to myself), since I've been, ahem, exploring other brands and products too (I bought my first Kaleidoscope Eye Kit a few weeks ago!). I already have Perles d'Azur, so I don't know what to do. This is probably the first time I'm happy about collections arriving late to the Philippines, because it gives me more time to think about it. That said, it's so gorgeous and I can't blame you for snatching it up! :) try it when it gets to a counter! I like Perles d'Azur better in general, but these are very different so it's worth a test wear. That beanie is SO cute! I love the buttons on it! You're adorableeee! I love how glowy this makes you look. This is gorgeous! I have had a "box o' balls" on my wishlist for quite some time now, but this one just looks sooo adorable I can totally understand how you couldn't resist it. ;) The glow it gives looks so beautiful on you! Oh and I am LOVING that knit beanie on you - your friend is so talented! I can't even imagine how to create something like that- it is so incredible! It is pretty, and the packaging is delightful with that puff. Free pass! If I find an antennae headband I WILL SHIP IT TO YOU. In the spirit of reducing my spending, I'm going to pass on this one. That hat is really cute! It's a great color on you. Your friend has talent! Ooooooh I feel like I can actually see a glow on your skin! It's lovely on you! Ah, I think you already know I have my eyes on them ballz, but I got distracted by that super duper cute beanie. I wish the weather here is much colder than I can wear beanies / hats!! Agh, I'm trying so hart to resist these ballz because I know I don't need them. But ... but, ugh you've made them look so pretty! I still don't have ANY ballz so it really is only a matter of time. Angela's a genius. It seriously looks professional! I can't decide if I need this, but your pictures sure do make it look so cute and delicious. 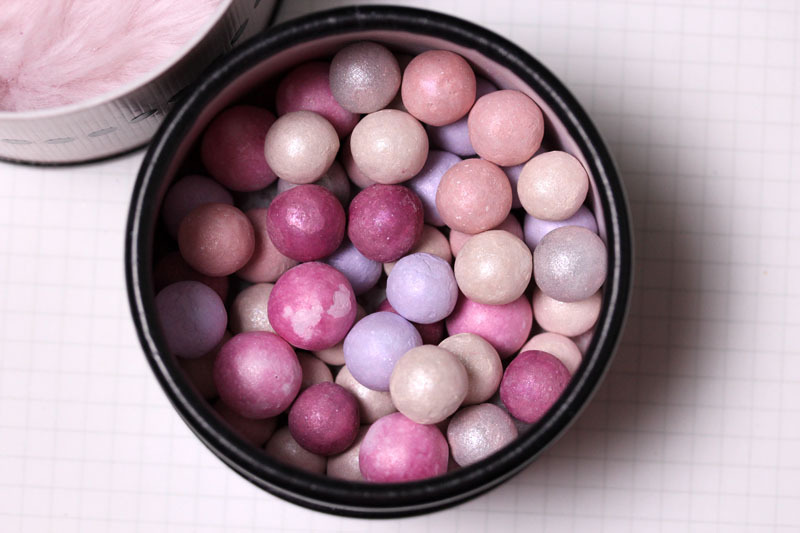 OH my I am drooling over that meteorites because of that pink puff <3 sooo CUTE!! Pink Ballz! :P So pretty. But I will stick to my blue ballz. For now! when I was shopping for ballz I thought I might wait for this one to be released (THE PUFF!) but the magenta ballz scared me away. It really comes off subtly on you and looks great though! I caved. 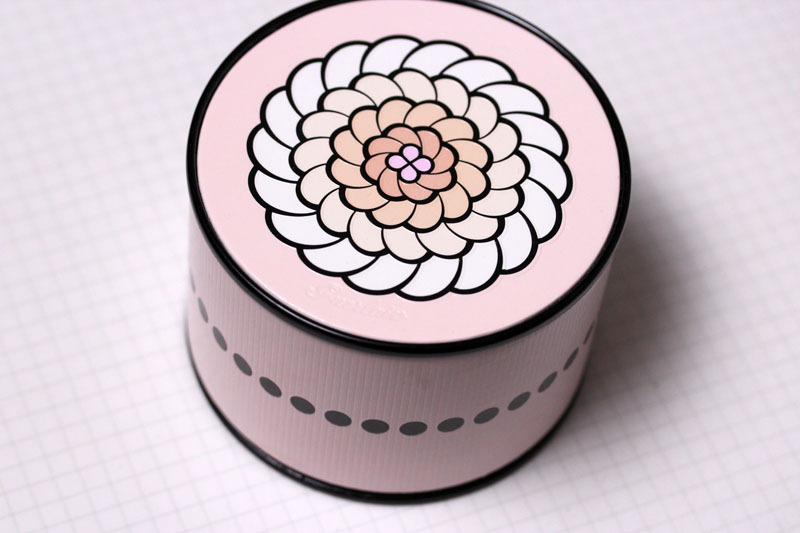 Yes, I caved and bought this box of prettiness as well...my first of its kind, I might add! I was so worried that it would clash with the yellow undertones in my skin (unlike super fair-skinned gals, I don't pull off pink very well) but I bought it just the same...and so happy that I did! You're right; it gives this effect that looks so good AND leaves you scratching your head in confusion, trying to pinpoint the source -- love it when things like that happen! PS: love the look of this product on you & the hat is fab!